A "Braided" Crochet Stitch That Looks Like Knitting - Easy Video Tutorial! 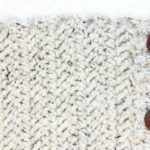 This quick video tutorial covers how to work a “braided” crochet stitch that looks like knitting! 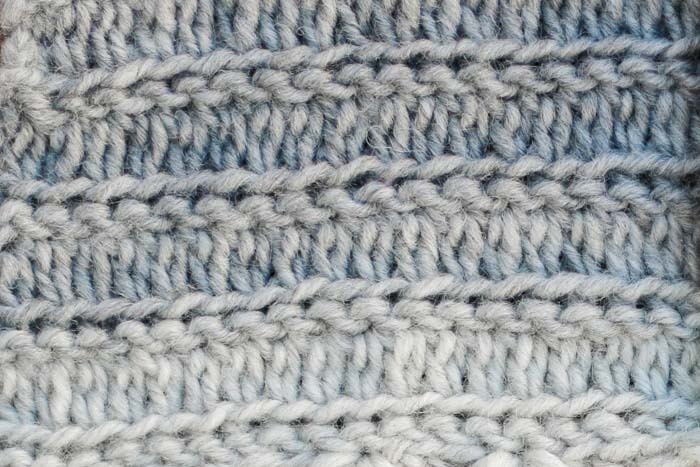 This stitch is quite simple and perfect for confident beginners. 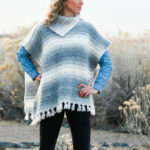 It’s also what’s used in the free Braided Boho Poncho crochet pattern! This braided crochet stitch video tutorial is part of an ongoing collaboration with my friends at Lion Brand Yarn. This post contains affiliate links. As shared work in progress shots of the free Braided Boho Poncho pattern on Instagram, I got a lot of questions about the stitch I was using. 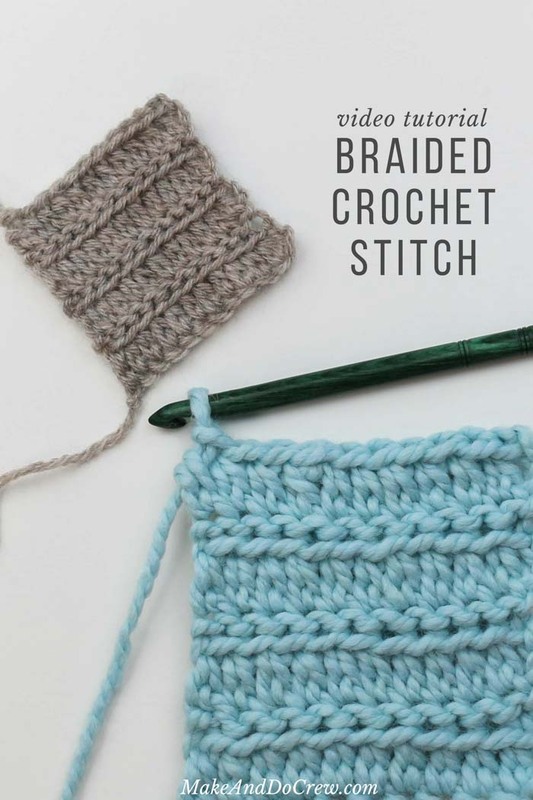 This little combo is actually something I came up with one day when I was sitting on an airplane trying to find a crochet stitch that looked like knitting. 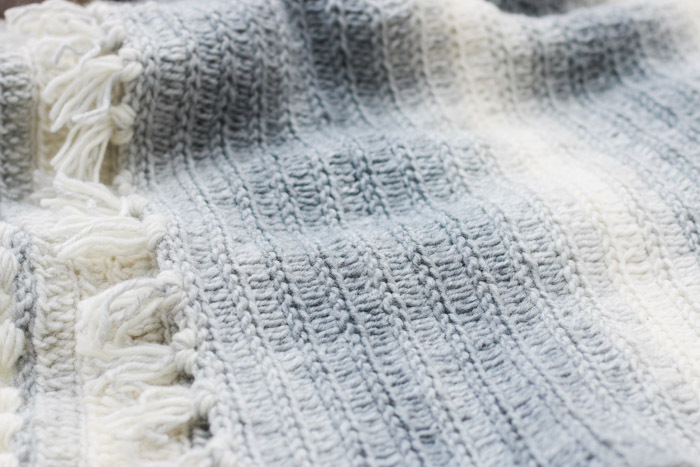 I think this simple stitch accomplishes that “knit” look, while remaining very easy to work. 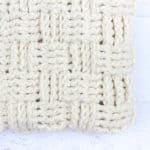 What exactly is this braided crochet stitch? I don’t think I’ve ever seen this combination of stitches in any “official” capacity, so I’ve called it the “Braided Extended Half Double Crochet” stitch. If you have seen it before and know it has a different name though, please let me know in the comments! 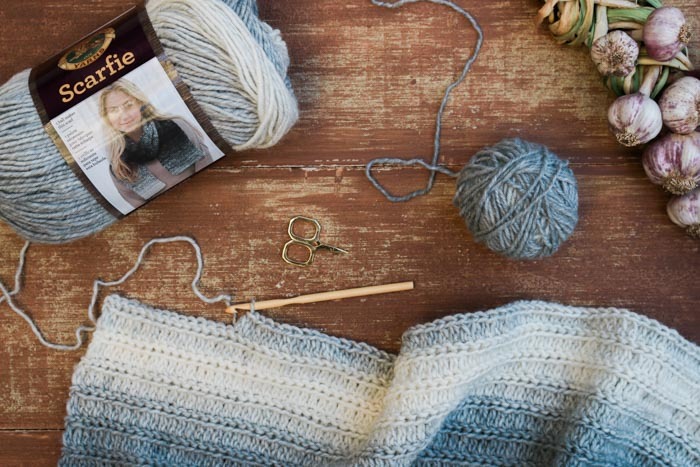 Just as it sounds, knit looking crochet stitch a super simple combination of extended half double crochet and slip stitches. 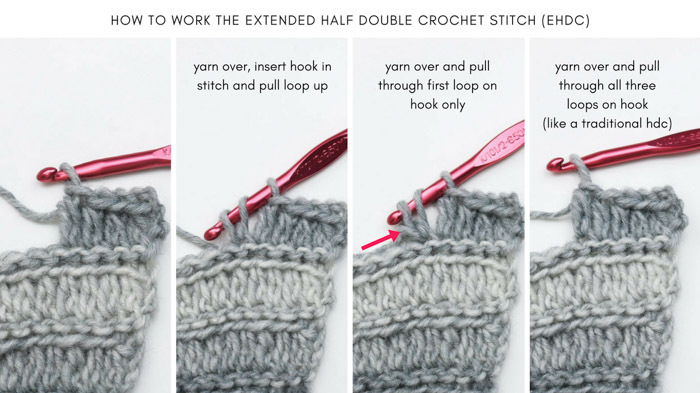 Never worked an extended half double crochet before? Don’t worry! I cover exactly how to do it in the How To Work a Braided Crochet Stitch video tutorial below. Scroll right below the video for the step-by-step written instructions and photo tutorial. 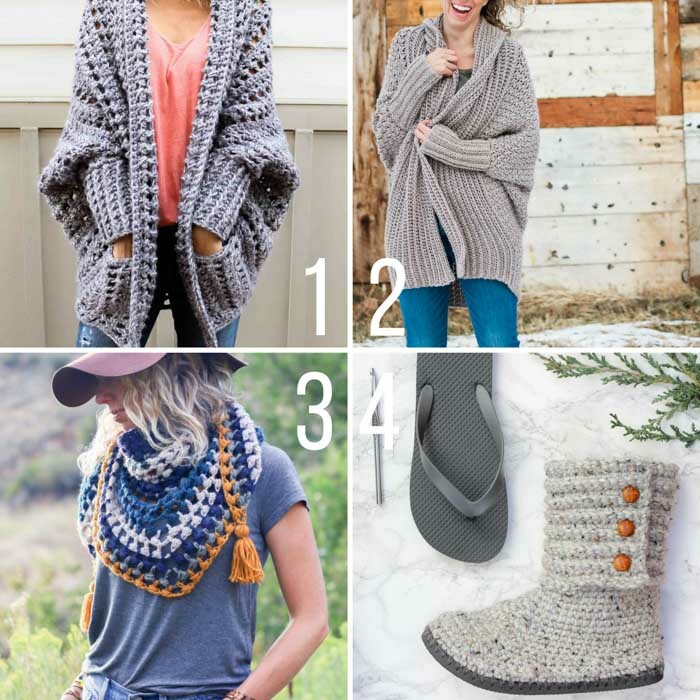 To learn more about making crochet look like knitting, you’ll definitely want to check out this collection of 15 free crochet patterns that look knit, which includes hats, sweaters, mittens and lots more. I love how versatile yarn is! Isn’t it amazing the things you can do with it? 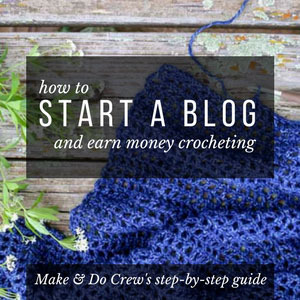 You can also find all my free crochet video tutorials here! • Lion Brand Wool-Ease Thick & Quick in the color Glacier. Purchase it here! • See photos below for exact hook placement. Foundation Row: Ch any multiple of stitches. Row 1 (RS): Sk first 3 ch, ehdc in each ch to end of row; turn. Row 2 (WS): Ch 1, loosely sl st through the middle loop only of each hdc; turn. Row 3 (RS): Ch 3, ehdc in front loop of each sl st; turn. 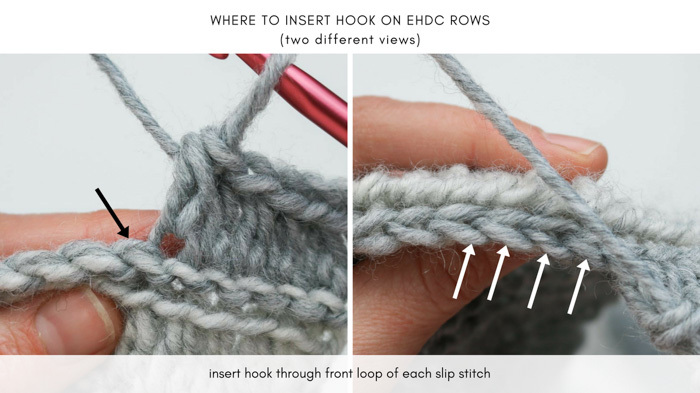 Here’s a quick photo tutorial on the extended half double crochet stitch (ehdc) in case you aren’t a big video watcher. olá recebi mais um video adoro-os, os seus trabalhos são lindos e os videos são muito bem explicados. Espero que possa traduzir o meu comentário. I love how combining stitches makes a totally new look! You’re so creative Jess💕 Thanks for sharing the video. I really like this stitch! Do any of the turning chains count as stitches? triple or single? 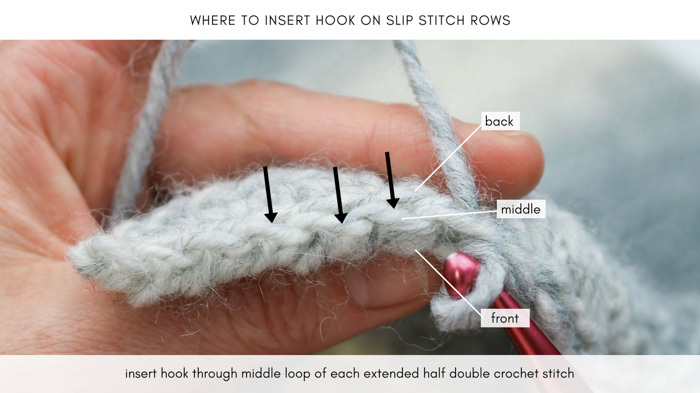 I thought I heard you say the single chain turning chain does not… Also, on the original chain, when you chain into the fourth stitch from hook, does that count as one or two stitches? Knowing whether or not turning chain stitches count as a stitch is a real problem for me. Many patterns seem to vary even when using the same stitches. Some double crochet patterns count the turning chain and some do not. Length of chain varies too depending on the pattern. Please help 🙂 Thanks!